One enemy after Mercy down, even more to go. After finding out why she’s been attacked for nearly her whole life for simply existing, Mercy doesn’t know whether to believe it or not. She discovers yet more lies, more secrets. Along with those secrets and lies, comes new faces, new friends, and even worse; new enemies. 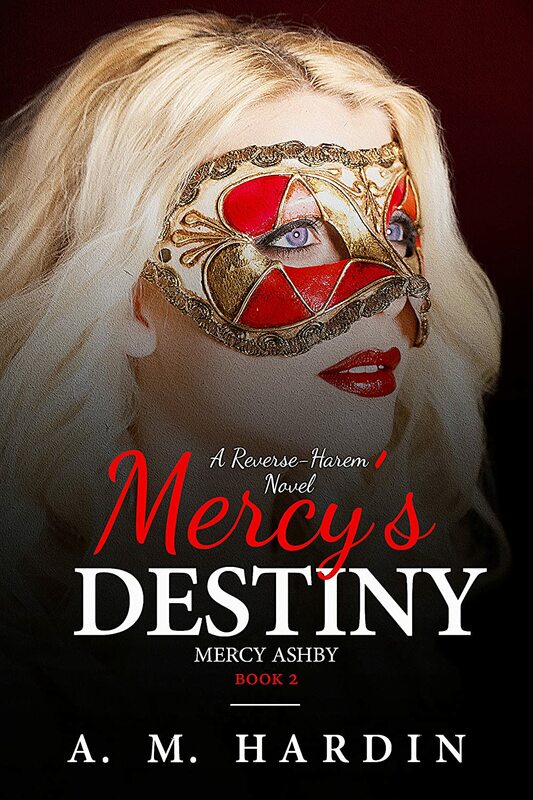 When someone close to her protectors betrays them, Mercy comes to realize that maybe her destiny might just be written in stone after all. Finally Mercy knows why she has been attacked and hunted nearly her whole life. It was foretold that a young half-demon with yellow hair and purple eyes will become very powerful. This young half-demon will have control over hellhounds, it was also seen of her life and death. Her being brought back from death, as well as her going rogue. It was also seen that her children will be even more powerful. Many believe that Mercy is that half-demon. She doesn't know if the prophecy is true but she will fight it with everything she has. And she is not alone in her fight. Her protectors Talon, Hunter, War, Parker and Kai. They would do anything to protect the woman that they have come to love. With danger at every turn, who can they trust. When someone close to them betrays them, it just goes to show that sometimes you cannot escape your fate. Seriously you guys, so good! Mercy's Destiny picks right up where Protectors left off. Mercy gets a nice conversation with Satan, finally getting some answers she needs. She also gets a very good surprise, one that is shared by the rest of her family. But secrets are still being kept from her, and she is sick of them. She is going to take control of her life and destiny. Starting with her men. We see relationships change, all for the better. Some she takes a more intimate step, others letting them know that the door is open. I seriously love all of the guys, and they are perfect for her. Each one has a different personality and love that they bring to the table. Their chemistry together is well written and at each ones perfect pace. Mercy herself as a character I enjoy very much. She is strong, does what needs to be done, loyal, funny as hell and loves strongly. Once I started reading I could not stop, I had to find out what happened next. I really didn't see the betrayal coming, at least not who it was from. And Oh Boy what an ending!! It is a pretty good Cliffhanger, but in my opinion sets it up so good for book three. Which comes out this summer. Overall, don't miss this series. I really enjoyed it, and if you are looking for a good paranormal RH, you will to.